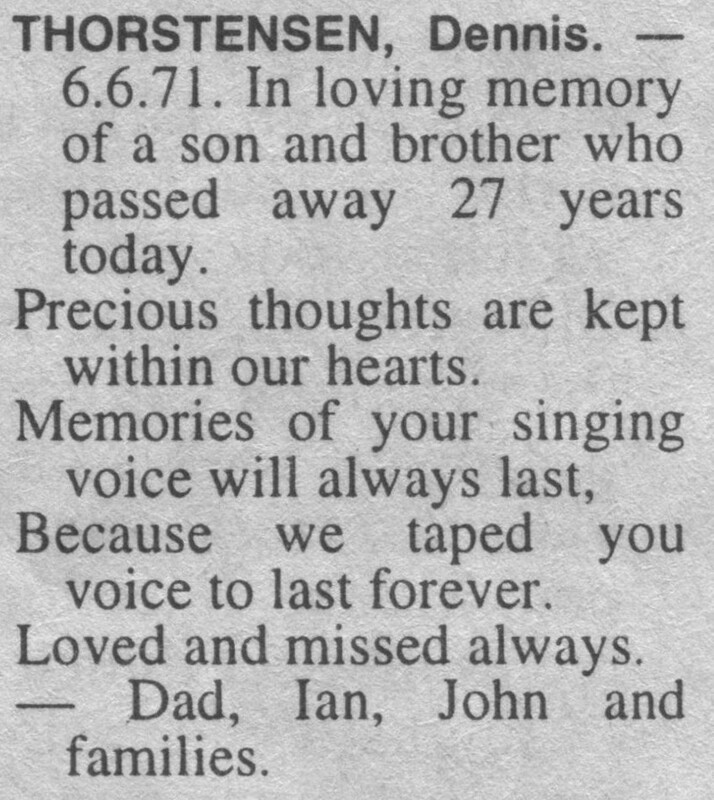 In loving memory of a son and brother who passed away 27 years today. Precious thoughts are kept within our hearts. Because we taped your voice to last forever. Dad, Ian, John and families.